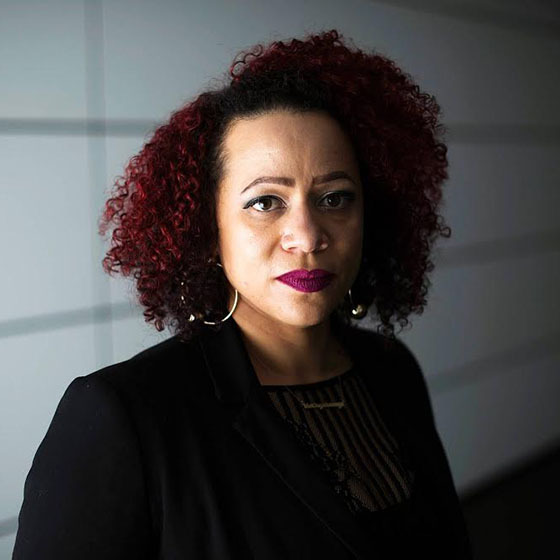 Nikole Hannah-Jones is a staff writer at The New York Times Magazine, where she investigates the way racial inequality is maintained through policy and official action. She was named to the 2017 class of MacArthur Foundation Fellows—also known as the “genius grant,” an honor bestowed to “extraordinarily talented and creative individuals”—for her work. Prior to joining The Times, Hannah-Jones spent three and a half years reporting on civil rights and segregation at ProPublica, a nonprofit, investigative reporting firm based in New York City. A journalist for more than 13 years, she’s also covered various beats for The Oregonian in Portland and The News & Observer in Raleigh, N.C., as well as reported on race in Cuba and Barbados. Hannah-Jones’s reporting across platforms on school and housing segregation and federal failures to enforce civil rights law has earned her numerous national awards. In 2016, she won a Peabody Award and George Polk Award for her reporting on school segregation in the district where Michael Brown graduated. Her 2014 investigation into school resegregation won two Online News Association awards, the Sigma Delta Chi Award for public service, the grand prize for national education reporting, and was a National Magazine Award finalist. She’s earned numerous other awards, including a Deadline Club Award, Columbia University’s Paul Tobenkin Memorial Award and the Gannett Foundation Innovation in Watchdog Journalism Award. Hannah-Jones is also the National Association of Black Journalists’ 2015 Journalist of the Year. 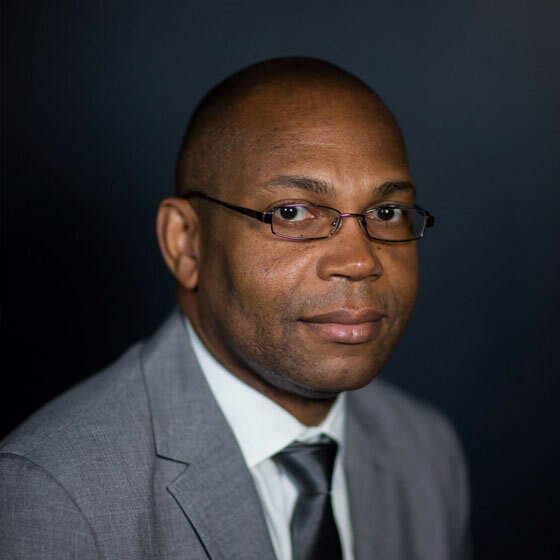 Ron Nixon is an author and veteran journalist, with more than 28 years at publications such as The New York Times, the Minneapolis Star Tribune, and the Roanoke Times. He is currently a Washington correspondent for the New York Times covering homeland security issues. He has reported from Rwanda, Uganda, South Africa, Canada, Belgium, Nigeria and the Democratic Republic of Congo. Nixon is the author of “Selling Apartheid: South Africa’s Global Propaganda War.” He has been a TedX speaker and taught investigative reporting to journalists around the world. He is currently the visiting associate for Journalism and Media Studies at The University of the Witwatersrand in Johannesburg, South Africa. 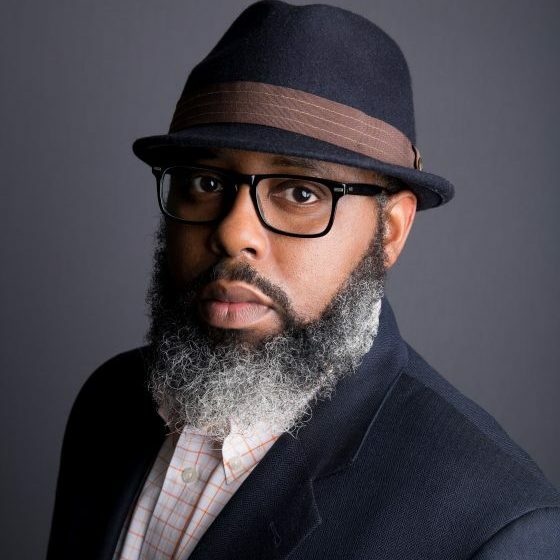 Nixon has been honored with numerous awards for investigative reporting, including awards from the National Association of Black Journalists, a Unity Award from Lincoln University, and a Page One Award from the Minnesota Society of Professional Journalists. He received the Defense of the First Amendment Award from St. Cloud State University in 2012 and shared a 2015-16 Challenge Fund for Innovation in Journalism Education award as one of the co-founders of Howard University’s Department of Media, Journalism and Film fact-checking website, TruthBeTold.news. Topher Sanders covers race, inequality and the justice system for ProPublica. In 2018, he and reporter Ben Conarck recieved Columbia University’s Paul Tobenkin award for outstanding reporting on race and the University of Colorado’s Al Nakkula award for outstanding police reporting for their multi-part investigation “Walking While Black.” The series explored how jaywalking citations are disproportionately given to black pedestrians. The investigation also earned a Deadline Club award, a National Association of Black Journalists’ Salute to Excellence award and the Florida Society of News Editors Gold Medal for Public Service. In 2017, Sanders and colleague Ryan Gabrielson recieved the John Jay College/Harry Frank Guggenheim award for excellence in criminal justice reporting and an Aronson Award for social justice journalism for their multi-part series “Busted,” an investigation of the systematic misuse of roadside chemical field tests by police. Sanders’ data-driven reporting on juvenile plea deals and the time Jacksonville juveniles spend in pre-trial detention facilities was a 2015 finalist for an Investigative Reporters and Editors award. His reporting on public-records concerns and questionable behavior by Jacksonville’s elected public defender prompted Florida Gov. Rick Scott to order an investigation of the office in 2013. The investigation resulted in a scathing grand jury report asking Scott to remove the elected official. He is a graduate of Tuskegee University and started his journalism career at The Montgomery Advertiser in Montgomery, Alabama. Elizabeth Barajas-Román is Chief Executive Officer at Solidago Foundation. Elizabeth Barajas-Román is the CEO of the Solidago Foundation. For more than 20 years she has been a leader in progressive movements including advocating at the national level for the health and rights of immigrant women and their families. Most recently, she was the CEO of the Women’s Fund of Western Massachusetts, a public foundation that fuels progress toward gender equity through collaborative, multi-year, grantmaking and leadership development. Under her leadership, the Women’s Fund was part of several strategic initiatives that resulted in systems-level change impacting about 3 million women and their families. She was previously a manager at The Pew Charitable Trusts, and before that, the Director of Policy at National Latina Institute for Reproductive Health where she opened, and directed, the organization’s Washington, D.C.-based office. Ta-Nehisi Coates is a national correspondent for the Atlantic Magazine and author of “Between the World and Me,” which won the National Book Award. His work exploring the issues impacting African-Americans have earned him other highly coveted honors, including the George Polk Award and a ‘genius grant’ from the MacArthur Foundation. Sarah Bartlett is the Dean of the CUNY Graduate School of Journalism at the City University of New York. She joined CUNY in 2002 as the Bloomberg Chair of Business Journalism at Baruch College. She moved to the CUNY Graduate School of Journalism in 2006, after serving on its founding curriculum committee. She created and oversaw both the Urban Reporting and the Business & Economics subject concentrations and helped found the school’s Center for Community and Ethnic Media. For several years, she was also the host of U$A Inc., a half-hour, weekly show on CUNY-TV. Ricardo Sandoval-Palos, veteran investigative editor, has joined the InsideClimate News team as investigations and longform editor. Sandoval-Palos has extensive experience in ushering award-winning stories from inception to publication. He comes to ICN from 100Reporters, a non-profit investigative organization where he served as managing editor. Most recently, he oversaw projects on corruption and abusive resource extraction in Africa, Asia, Latin America and the United States. Sandoval-Palos also has served as supervising editor for Morning Edition, National Public Radio’s flagship news show. He is the outgoing board president of the Fund for Investigative Journalism. In his four years in that role, he helped double the fund’s grants budget and start investigative fellowships at Brandeis University for women and journalists of color. He has been a research consultant at Human Rights Watch, where he carried out research projects on immigration, and a project manager at the International Consortium of Investigative Journalists–Center for Public Integrity. He has worked at multiple other news organizations as a reporter and editor.